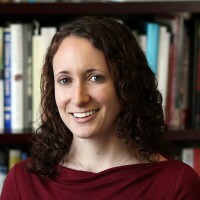 Sarah Garland is the executive editor of The Hechinger Report. She started out in journalism reporting on murders and mayhem in New York City for New York Newsday and the New York Times, before joining the New York Sun, where she discovered a passion for the education beat. 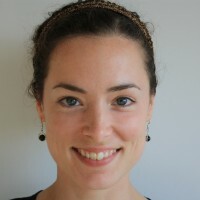 As a Spencer Fellow in Education Reporting at Columbia University's Graduate School of Journalism, she wrote "Divided We Fail" (Beacon Press), a narrative of the landmark enactment and repeal of court-ordered school desegregation in her hometown of Louisville, KY. Garland is a graduate of Macalester College in St. Paul and has a joint master’s degree in journalism and Latin American studies from New York University. In 2009, Garland published her second book, "Gangs in Garden City," about Salvadoran street gangs in the Long Island suburbs. Her first book, "The Haunted Kitchen," was awarded the best entry by a third grader at Coleridge-Taylor Elementary. During the really cool and somewhat dangerous field trips hosted by her public elementary and middle schools, Garland learned to sail a tall ship, developed a phobia of underwater caves, and cooked pancakes "like a pioneer" over an open fire. Jon Marcus, higher-education editor, has written about higher education for the Washington Post, USA Today, Time, the Boston Globe, Washington Monthly, is North America higher-education correspondent for the Times (U.K.) Higher Education magazine, and contributed to the book Reinventing Higher Education. 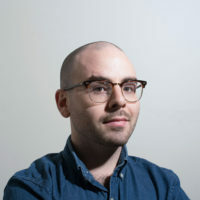 His Hechinger coverage has won national awards from the Education Writers Association and he was a finalist for an award for beat reporting from the New York chapter of the Society of Professional Journalists. 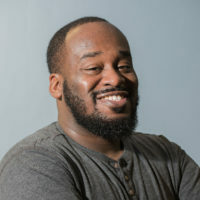 The former editor of Boston magazine, Marcus holds a master’s degree from Columbia University’s Graduate School of Journalism and a bachelor’s degree from Bates College. 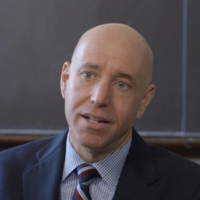 A journalism instructor at Boston College, he says he ends up learning from his students far more than he teaches them. 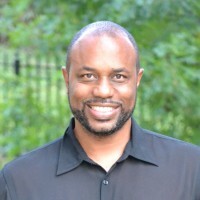 Lawrie Mifflin is managing editor. 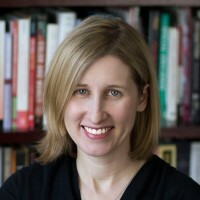 Until 2013 she was a senior editor at The New York Times, where she spent 30 years as a reporter, an editor and an executive supervising new digital initiatives. 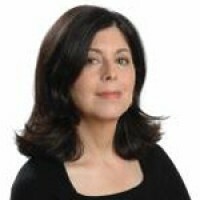 She helped launch and lead the Times’s television and web video departments, as well as the Knowledge Network, which offered online adult education courses from Times staffers; earlier in her career, she was the paper’s national education editor. She joined The Times as a sportswriter, after having been the first woman sportswriter at the New York Daily News. She holds a B.A. in history from Yale University and an M.S. from the Columbia's Graduate School of Journalism. A Philadelphia native, she started Yale’s first varsity team for women — field hockey — and wrote her master’s thesis at Columbia about the first girls to break into Little League baseball. 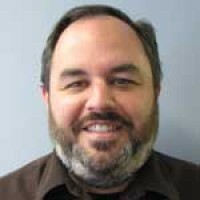 Matt Bruderle, program manager, has worked for the Institute in various roles since 2007. A native of northern Virginia, Matt has almost two decades of experience in higher education administration, including positions at Purchase College, SUNY-Oswego, and Emerson College. 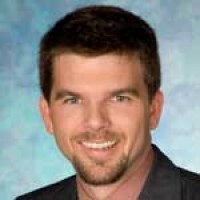 Matt has a master’s degree in education from Colorado State University and earned his bachelor’s degree in public relations and communications from Virginia Tech. He had his first byline in the second grade, when a poem he wrote was published in the local paper. 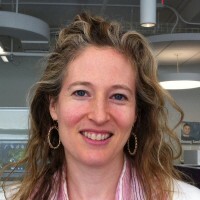 Sarah Carr is a contributing editor who also oversees the Teacher Project at Columbia Graduate School of Journalism. She has reported on battles over school vouchers, efforts to educate China’s massive population of migrant children, and the explosion of charter schools in New Orleans. Sarah is the author of Hope Against Hope, a nonfiction account of New Orleans schools post Hurricane-Katrina, which she reported as a Spencer Education Journalism fellow. 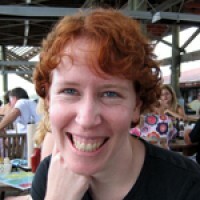 Sarah has contributed to the Atlantic magazine, Slate, New Orleans public radio and numerous other media outlets, winning several national awards. She is a graduate of Williams College and Columbia University’s Graduate School of Journalism. Sarah attended the Nauset Regional School District in Massachusetts, and got her start in journalism interning at the Cape Cod Times newspaper. A local high school kicked her out for trying to cover a student protest rally her first day as an intern, and Sarah is grateful to the many schools since then that have let her stay. Nick Chiles is an award-winning journalist and three-time New York Times bestselling author. He has written or co-written 14 books and won over a dozen major journalism awards during a journalism career that brought him to the Dallas Morning News, the Star-Ledger of New Jersey and New York Newsday, where he won a Pulitzer Prize as part of a team of reporters. 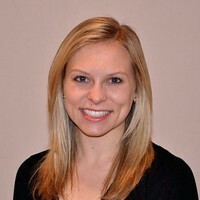 Nichole Dobo is the senior engagement editor and a writer. Her work has been published in the Los Angeles Times, The Atlantic's online edition, Mind/Shift, WHYY NewsWorks, Slate and in McClatchy newspapers. 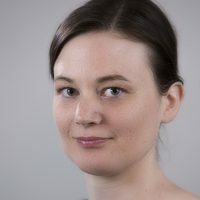 She was a staff writer at The News Journal in Wilmington, Del., The York Daily Record/Sunday News in York, Pa., The Times-Tribune in Scranton, Pa. and The Citizens' Voice in Wilkes-Barre, Pa. She was a 2015 AERA-EWA Data Journalism Fellow. She won first prize and best of show for education writing in 2011 from the Maryland-Delaware-D.C. Press Association. She earned a B.A. in journalism at the Pennsylvania State University. She is a graduate of a small​, rural ​high school in Appalachia. She walked a mile every day on a dirt road to get to her school bus stop. Emmanuel Felton is a staff writer. Prior to joining The Hechinger Report, he covered education, juvenile justice and child services for the New York World. He received a bachelor’s degree from Emory University and a master’s from Columbia University’s Graduate School of Journalism. He grew up in the music rich city of New Orleans, but learned the hard way that he had no musical talent during one very long week in middle school. Luckily, he found journalism. 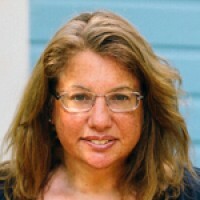 Barbara Kantrowitz, a senior editor, is an award-winning magazine editor and writer. She worked at Newsweek for nearly 25 years in the magazine’s society section, where she wrote and edited dozens of cover stories on health, education, religion and women’s issues. 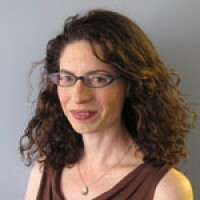 Kantrowitz has also worked at People, The New York Times, The Philadelphia Inquirer, Newsday and The Hartford Courant, and has freelanced for many national publications. She is a graduate of Cornell University and Columbia Journalism School, where she has been an adjunct professor since 2009. One of her major life goals is to visit all 50 states. Meredith Kolodner is a staff writer. She previously covered schools for the New York Daily News and was an editor at InsideSchools.org and for The Investigative Fund at the Nation Institute. She’s also covered housing, schools, and local government for the Press of Atlantic City and The Chief-Leader newspaper and her work has appeared in the New York Times and the American Prospect. 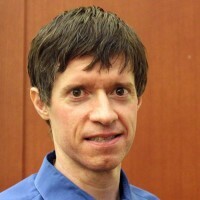 Kolodner is a graduate of Brown University and Columbia University’s Graduate School of Journalism and an active New York City public school parent. She is grateful to her 11th grade English teacher who persistently gave her Cs on essays until she finally stopped burying the lead. 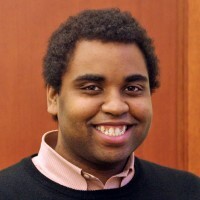 Davin McHenry is the web editor, responsible for managing The Hechinger Report website. He has spent the last decade working on news websites, including previously at the Bakersfield Californian newspaper. While in Bakersfield he rose from county government reporter to assistant city editor to web editor. He also wrote a lousy novel, had two plays produced locally and restored two classic cars. Before that he worked as a reporter in Hanford, Ca. and Goleta, Ca. And before that, time did not exist and all was still. 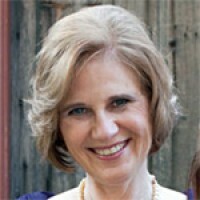 Lillian Mongeau is the Membership Manager and West Coast Bureau Chief. Her future as a writer was not a forgone conclusion, according to her first grade teacher, Miss. Gill. "I would like to see her put more effort into her writing," Gill wrote on Lillian's first term report card. Also, "Practice math facts to 10... She should know them without using her fingers." While Lillian still often uses her fingers to add (Common Core says it's OK), she has gone on to win several awards for her writing. Most notably, she was a 2017 Livingston Award for Young Journalists finalist for her series on public preschool in the United States. Lillian was also awarded a special citation from the Education Writers Association for a feature in The Dallas Morning News on returning to South Texas, where she'd served as a Teach For America teacher, to see her former students graduate high school. 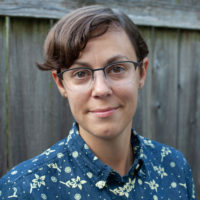 Her work for The Hechinger Report has appeared in The Atlantic, The New York Times, and The Christian Science Monitor among other publications. Lillian is an alumna of the U.C. Berkeley Graduate School of Journalism and Barnard College at Columbia University. When she's not reading the news or a novel, she likes to ski, quilt and run. 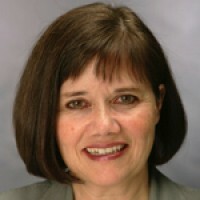 Joan Motyka, contributing editor, honed her editing and writing skills during a 25-year career at The New York Times, where she also served as a writing coach, director of newsroom training and recruiting editor. She was educated by Polish nuns in what is now the epicenter of hipster Brooklyn and survived by dreaming up episodes of The Twilight Zone. She then went on to write for many sections of The New York Times, including the Book Review, Travel and Business, as well as for The Boston Globe, the International Herald Tribune and Business Week. 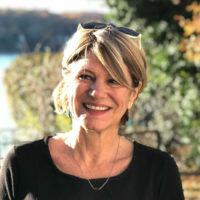 She is a now an editor of The Westchester Review, a literary journal; a teacher of memoir writing, and a board member of the Larchmont-Mamaroneck Center for Continuing Education. She holds a B.A. in journalism and American studies from Syracuse University. 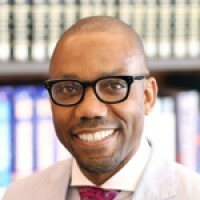 Dr. Andre Perry, a contributing writer, is a David M. Rubenstein Fellow at The Brookings Institution. Perry was the founding dean of urban education at Davenport University in Grand Rapids, Mich. Previously, Perry worked in both academic and administrative capacities, most notably as CEO of the Capital One-University of New Orleans Charter Network, which consisted of four charter schools in New Orleans. A native of Pittsburgh, Perry earned his Ph.D. in education policy and leadership from the University of Maryland-College Park. Perry’s views have been featured on NBC, National Public Radio, Al Jazeera America, GOOD Magazine, TheGriot.com, The New Republic and CNN. In 2011, UNO Press released his book, The Garden Path: The Miseducation of a City. 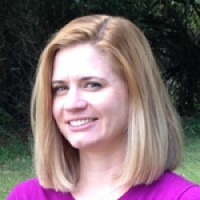 Caroline Preston is a senior editor. She previously worked as a features editor with Al Jazeera America's digital team and a senior reporter with The Chronicle of Philanthropy. Her freelance writing has appeared in The American Prospect's online edition, Fusion, Jezebel, The New York Times, The New Yorker Online, and other publications. She holds a B.A. in history from Brown University and an M.S. from Columbia University's Graduate School of Journalism. As an elementary and middle-school student, her favorite subject was art, and maybe one day she'll again pick up a paintbrush. Javeria Salman is the digital news producer. Prior to joining The Hechinger Report, she worked as an editor and reporter at The East Carolinian, an independent college newspaper in eastern North Carolina, where she was recognized by the North Carolina College Media Association for her reporting and opinion writing. 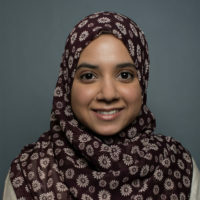 Javeria spent a decade working on various media teams and youth leadership programs with non-profit Muslim American organizations. She graduated from East Carolina University with a B.S. in communication and a concentration in journalism. Javeria has lived in three other countries, five U.S. states and too many cities to count, and grew up constantly on the move. When she's not traveling, she's either reading the news, listening to a podcast about news or nerding out over journalism history. Salina Sanchez is business manager. She oversees the management and reporting of all grants, budgets and spending. Sanchez holds a bachelor’s degree in literature from Purchase College, SUNY and a master’s degree in English from New York University. Since joining Hechinger in 2007, she has also organized numerous professional development seminars. Over the years it has been confirmed that she has a serious and mildly concerning addiction to sesame bagels. Anthony Session Jr. is a contracts/operations associate. He maintains the contracts and orders of the Hechinger writing team, as well as, expense reports. He obtained his bachelor’s degree in business administration from Monroe College. Session is an avid New York Knicks’ fan and has learned that Celtic green is fairly good but could’ve been better, in his most humble opinion. 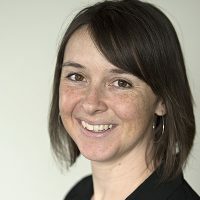 Jennifer Shaw is Opinions Editor, seeking Op Eds that further The Hechinger Report's mission to elevate voices not normally heard in debates about education. A journalist who has worked for Newsweek and The Wall Street Journal, Jennifer grew up on Manhattan's Upper West Side — where she was not taught how to drive a car. She welcomes submissions at Shaw@HechingerReport.org. 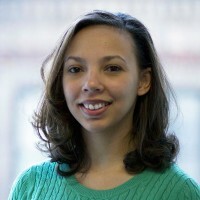 Delece Smith-Barrow is a senior editor for higher education at The Hechinger Report. 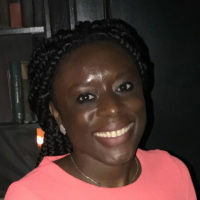 She was a 2017 Knight-Wallace Fellow at the University of Michigan, where she spent a year studying how top-tier universities are increasing the numbers of underrepresented minority faculty. Prior to joining The Hechinger Report, she was a reporter at U.S. News & World Report, and a producer, writer and editor at The Washington Post. She received a bachelor's degree from University of Maryland--College Park and a master's degree from Georgetown University. Much to the dismay of most journalists, she hates coffee. She does, however, love trampoline dodgeball and the best of the worst of reality TV.